In AH 79, the Ummayad Caliph introduced a new currency standard consisting of gold Dinars, silver Dirhems, and a varied series of copper Fals. Umayyad coins are generally speaking broad and thin coins - a style reminiscent of the Sassanian silver coins they replaced. Both the obverse and the reverse fields are occupied by the Kalima - the Islamic invocation of Faith. 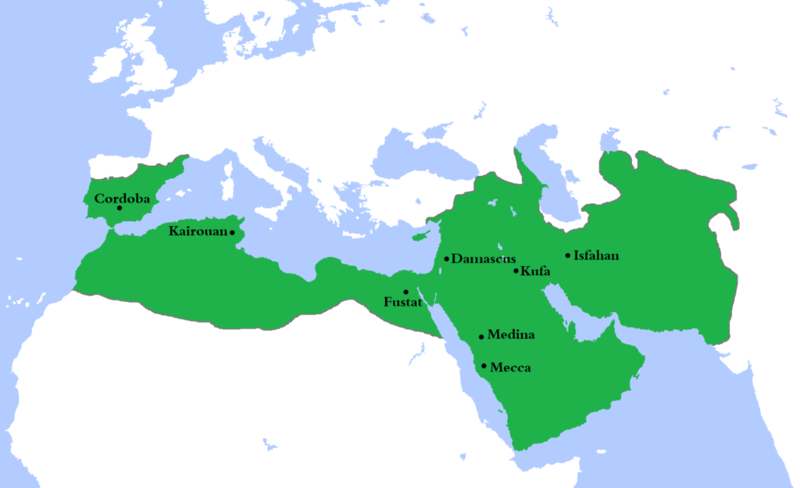 While their denominations would live on for a long time, the Umayyad Caliphate would not - in 747 AD Abu Muslim would start an open revolt against the Caliph, and in 750 AD the Abbasids had triumphed and would rule the Near East for more than 500 years.